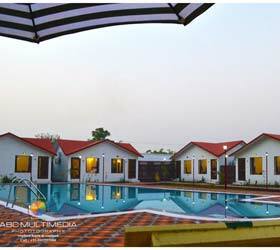 Corbett View Resort located on the southern fringe of the Jim Corbett National Park offers a refreshing experience of staying in mud cottages with. 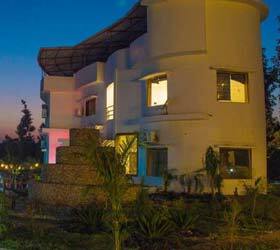 Enclosed with the beautiful natural surroundings, the magnificent resort named 'Aranya - The Kanan' is located in the vicinity of Corbett National Park in the Himmatpur Village of Ramnagar. 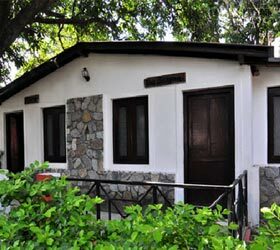 Corbett Bijrani Jungle Camp is one star budget accommodation located opposite Bijrani Gate, Aamdand gate in Jim Corbett National Park.It opens from 15 October to 15th June of every year. 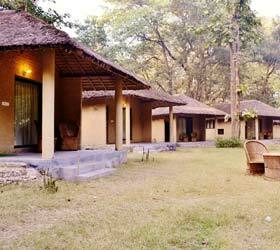 Bagheera Jungle Retreat is nestled amidst beautiful and tranquil surroundings in Corbett. 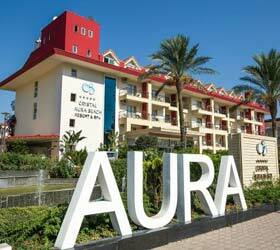 The hotel has fully equipped and beautifully designed rooms with amenities like air conditioner. 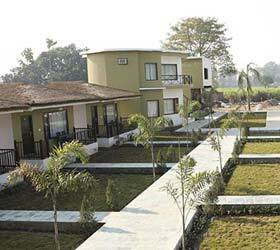 About Corbett Aroma Park. 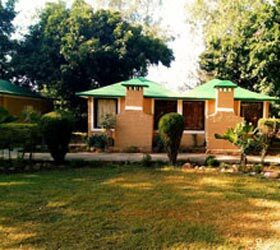 Corbett Aroma Park is ideal for a relaxing both in summer and winter holidays, nestled on the edge of beautiful mountains. 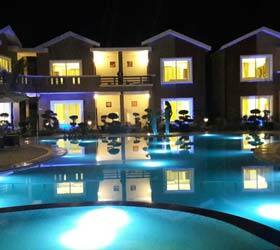 Corbett Holiday Forest Resort is an ideal destination for families, corporate travelers, youngsters, kids etc. 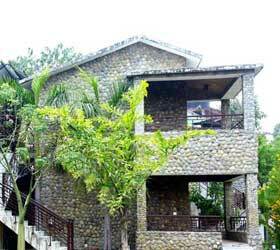 who want to have a comfortable stay and have a taste for good services and quality. Welcome to Corbett Fun Resort. 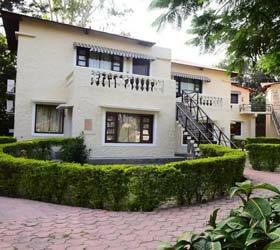 Our delightful resort and architecturally beautiful building is conveniently situated in Teda, Ramnagar, lies near Corbett National Park. 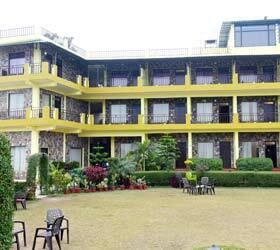 Manu Maharani Resort spread over an area of approx 8 acres of land is situated amidst Corbett National Park Uttaranchal, located on the clear waters of River Kosi overlooking the hills. 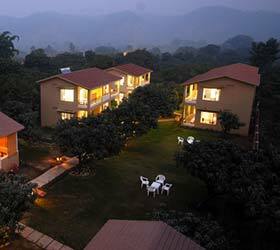 The Tiger's Pug-Mark Resort in Jim Corbett is located in a magnificent valley which is 15 km away from Ramnagar railway station. 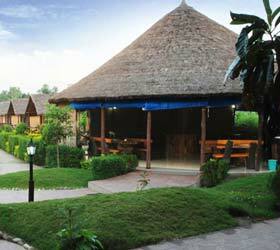 Roar Corbett resort is located in Jhirna tourist zone in village Dhela and is very close to Jim Corbett National Park. 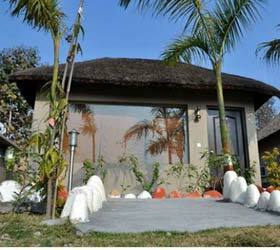 The Paradiso Resort Corbett National Park guarantees guests a pleasant stay whether in Corbett for business or pleasure. 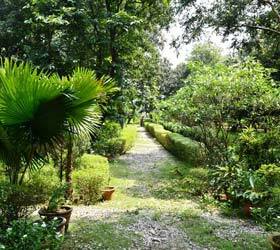 Corbett Jungle Lore has been developed on a Theme Indian Cottage and thus has combination of spacious cozy cottages and tents.